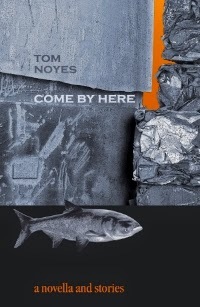 There is something completely normal about Tom Noyes’s Come By Here. He presents characters that are often funny, periodically bored, insanely devout, and inexplicably sad. They buy houses, deal with loss, annoy the hell out of each other, lose dogs, and try to do what would be best for themselves and their families. They are prophets, lawyers, fishermen, reality TV stars, and members of the Fabulous 40s and 50s. Through these characters, Noyes captures the complexities and inconsistencies of being, well, human. You want to explain the whole thing to the bird. You want to apologize for the mess it’s in, but then you also want to impress upon it how lucky it is to be receiving help. Of course, you can’t explain any of this to the bird, and there’s sadness in that communication gap, I think. That’s just one level of sadness, though. Although amusing, this observation is reminiscent of the moments of over-analysis that is incredibly familiar to many people. Noyes maintains this subtle comedy throughout his book, from a father spending a lot of time thinking about the importance of his daughter’s scrunchie in “Devil’s Night” to the participants in “Safari Supper” noting minute details of the guests and hosts. Thunder crashes miles away over the lake, and then seconds later another rumbling sounds like it’s coming from the south. Like there are two storms. 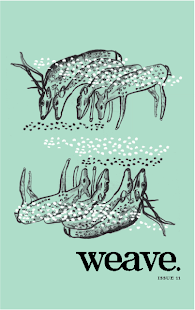 Or one with two heads that’s disagreeing with itself… Like the argument’s over him. Like it’s none of his business. Either way, he’s going to wait this one out. In fact, Noyes’s characters constantly reflect upon the world around them. This permits themes of environmental responsibility because his characters are intertwined with the world. Even if they don’t take direct action, their lives are affected by the natural world, making the reader feel the import of being environmentally responsible. This theme is most tangible in the novella “Come By Here.” Throughout the story, a literal coal steam fire rages underneath a small real-life Pennsylvania town called Centralia. The fire started in 1962, and Noyes brings readers through four different time periods since then: 1969, when readers follow a self proclaimed prophet; 1976, when a family tries to make ends meet and heal from the loss of a son; 1984, when a lawyer and his secretary enter mutual affairs; and 1995, when a fresh high school graduate learns he is going to be a father. The novella is split into three sections with bookends describing a highway that runs through the town before and after the fire has consumed the town. The first, “Old Route 61,” is one of the most splendid parts of this book. It follows a “carrier” and a “corpse” as they walk down the road trying to reach the end. As the carrier gets too tired to continue, the corpse gets up to take his place and continue the journey across the highway. This parable for the rest of the novella is expertly crafted. “At this point, of course, it would come to pass that the carrier and the corpse would become each the other” is a perfect example of the conflation between the literal action of two people seeking the new road’s safety and the representation of each character’s conflict. In the novella’s three parts, a different character from each time period is given voice and Noyes delivers the three stages of being human: birth, life, and death. Birth follows the prophet finding his way toward worshipping the fire as he repeats his mantra, “The day of fulfillment is near” and introduces all the struggles in the other time periods. Life sees the fruition of incidents that define these characters. And death details the literal and metaphorical end of all the conflicts. Readers see the true range of Noyes’s craft in this novella. From the mystical half sentences of the prophet to the exquisitely constructed sentences of a mourning mother, Noyes brings readers completely into each character. This is what is normal about Come By Here. The characters are so fully realized and constructed that they seem absolutely regular. This is Noyes’s greatest achievement in Come By Here because he captures the absurdity and complexity that is every single normal human life.